Was it Yogi Berra's politically incorrect "It ain't over 'till the fat lady sings" or Winston Churchill's "Never, never, never give up" motto that was posted in the locker room in University of Phoenix Stadium yesterday? Maybe both. Who knows? 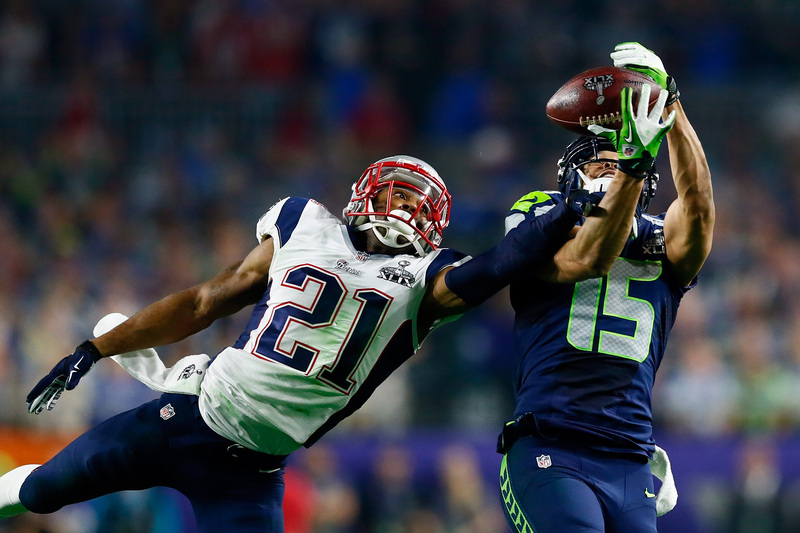 But "It wasn't over until it was over" in the 49th Super Bowl played on February 1, 2015. Malcolm Butler, a rookie free-agent from nowhere--correct that--from West Alabama sealed the victory for the big names from the New England Patriot's organization, with Tom Brady at the top of that legendary list. It's not only only the game-determining big play, like Butler's, that wins the game. It's every gritty play from the opening kickoff until the final gun that wins the game. If Butler had intercepted Seattle quarterback Russell Wilson's pass in the final minute of play with New England trailing by more than a touchdown, he wouldn't be a hero for the next twelve months. It would have been "too little, too late." 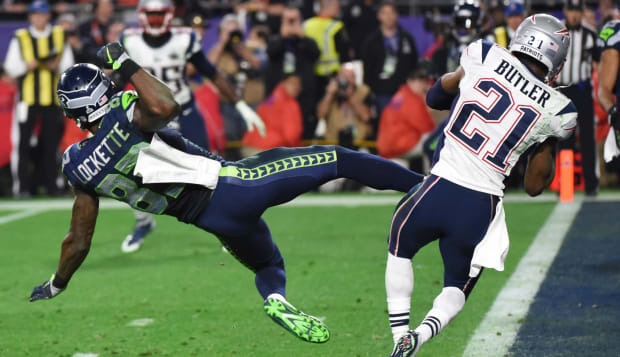 Butler's heroics were labeled as such because the previous 59-plus minutes of regulation put New England in a position to seal the victory-which Butler did.Indeed, Butler is now a hero until Super Bowl 50 because the Patriots were leading at that moment thanks to the play of their marquee athletes. They simply would not quit. Not one of them. They "refused to loose," as Saint Louis head coach, Jeffrey Michael Fisher, coined the phrase. Fisher, to be accurate, coined the phrase when he was head coach of the Tennessee Titans who refused to refuse to lose and came up one yard short of winning Super Bowl 34 in 2000; losing to (you guessed it) the Saint Louis Rams. On January 30, 2000, Tennessee Titan quarterback, Steve McNair (since tragically deceased) completed a last-second pass to wide receiver Kevin Dyson at the one-yard line. Unfortunately for McNair and the Titans, Saint Louis Rams linebacker, Mike Jones, tackled Dyson a half-yard short of the goal line, preserving the Rams' 23–16 victory. A clutch defensive play not unlike Butler's last night. As the Titan's proved, just having a catchy mantra doesn't mean you follow it. I started out of college and sent out 394 resumes from the time I graduated until I received my first job in Los Angeles television with KNBC six months later. I went on to enjoy nine years with The Disney Company and later, McGraw-Hill and Partners in Human Resources International in New York City. That's relevant because there would not have been a career for me at Disney or beyond if I had quit after I mailed the 393rd resume. It took 394 resumes before my name rolled across the closing credits of my first NBC television special. Who knew? The take-away message that every one of us should cherish from Super Bowls 34 and 49 is that, no matter how hard you have fought or how diligently you have persevered, victory might just be one more snap away. That's the eternal promise to the job seeker: one more resume, one more application, or one more contact might make the difference, be the one, or seal the deal. Tom Brady, one of the most celebrated football heroes in the game, raised his hands in victory moments after Malcolm Butler, a relative unknown until that decisive moment, made the play that sealed the victory. (I'd like to be Malcolm's agent Monday morning.) But it was Brady, and the rest of the Patriot's roster that earned the victory, even after Seattle played heroically and good fortune bounced their way almost often enough to win. Don't leave the winning resume on your computer. Don't forgo the phone call, email, or social networking opportunity that will unlock the door you've been waiting to unlock. Don't come up one yard short of your Super Bowl victory. You're worth that one last effort.